Larry David is one helluva comedic talent, and this is one of his go to bits, so you better sit up and take notice and recognize. Then, you better get this shirt. Why, well, because it’s pretty, pretty, pretty, good. 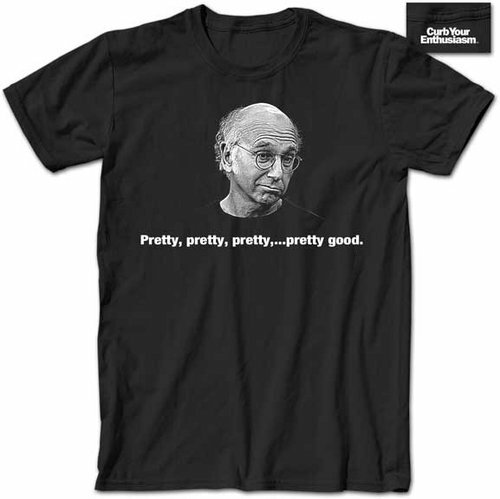 Let me hear it for Curb Your Enthusiasm.